If you're out of cornstarch or cooking for someone who's allergic to corn, one of these cornstarch substitutes should thicken your recipe just as well. You probably have at least one of them in your pantry. Keep reading for help picking the right one. 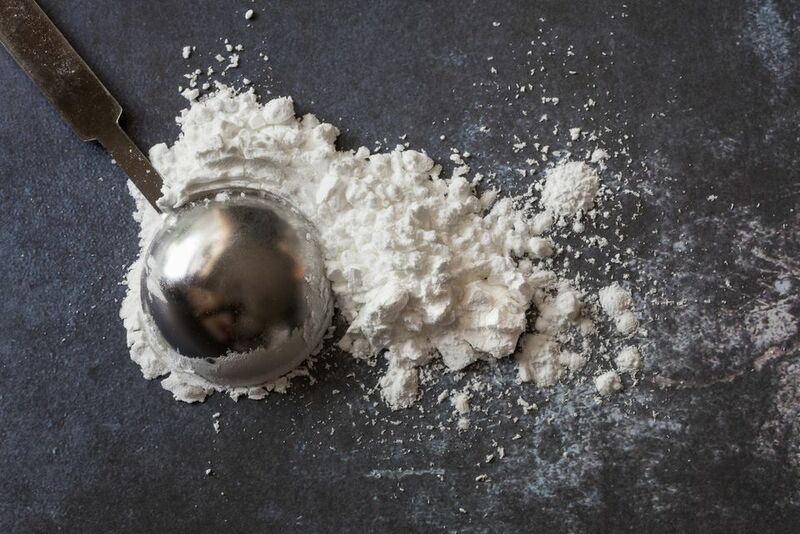 Replace the cornstarch in your recipe with double the amount of all-purpose flour. This is the best substitute for dairy-based sauces and is a good substitute for any other type of sauce. Replace the cornstarch with an equal amount of instant Tapioca (Minute Tapioca). This is a good substitute to use in sauces but does not work well in dairy-based sauces. It's also good in dishes that will be cooked at a high temperature (pies, for example) or anything that you plan to freeze. Tapioca doesn't dissolve completely when cooked, so you will have little balls of Tapioca in your finished dish. If this is a concern, grind your tapioca into a fine powder before you use it. Only have regular tapioca or pearl tapioca on hand? Just grind it first. A few quick pulses in a food processor or coffee grinder should do the trick. You can even do it with a mortar and pestle. Recipes prepared with tapioca will have a glossier appearance than those prepared with cornstarch. With pies, this is usually a plus. For the best results, add the tapioca, and allow the ingredients to sit for 5-15 minutes before cooking. This will give the tapioca time to start absorbing the liquids in the dish, so it thickens properly. Replace the cornstarch called for with an equal amount of arrowroot starch. Arrowroot works well in cooked dishes and foods that are destined for the freezer. It is not a good substitute to use in dairy-based recipes because it will result in a slimy texture. You may need to cook your recipe a bit longer to reach your desired thickness. All of these options are corn-free, but if corn allergies or sensitivities are a concern, be sure to consult the product packaging to ensure that your chosen substitute hasn't been manufactured in a facility that also processes corn.